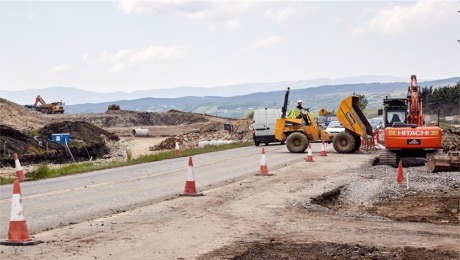 EVERY year there are hundreds of incidents at road works sites that put road workers lives at risk and local authorities from around Ireland including Donegal County Council have joined forces to highlight the dangers that exist on a daily basis at road works sites. A line of cones won’t stop a speeding car but you can - see the cones obey the zones. “Road works are a place of work for thousands of people and these workers have a right to expect a safe working environment” says Brian O’Donnell, Road Safety Officer with Donegal County Council. Donegal County Council is part of a national campaign being led by Local Authority Road Safety Officers from all over Ireland known as “Orange Cone Safety Zone Week”.